When Philando Castile was shot by a Minnesota police officer Wednesday evening, his girlfriend's first instinct was to start broadcasting. 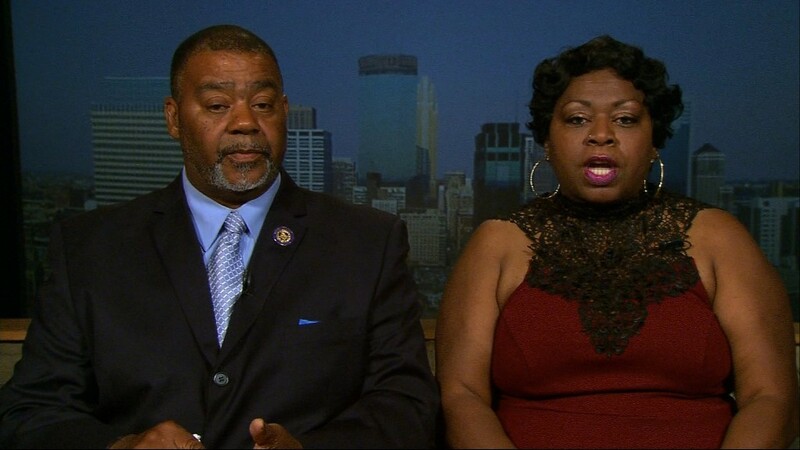 Diamond Reynolds' choice to live-stream the aftermath of the shooting on Facebook Live spurred immediate national news coverage of Castile's death. By Thursday morning, it was the top story on television and across the web. Live streaming enabled Reynolds to share the incident more quickly than a recorded cellphone video could have. And it provided an even more intimate, distressing view of the shooting. Reynolds' first words to her audience were "Stay with me." She panned over to Castile, whose white shirt was covered in blood, then brought the camera back to her face, capturing her shock up close. One of her viewers wrote a comment: "Don't stop recording." Reynolds also documented her interactions with the authorities. The live stream, however, does not show what occurred before or during the shooting. On Thursday, during another live stream, Reynolds said she "wanted everyone in the world to know" what had happened, specifically citing police mistreatment. Through the live stream, she said, "I just wanted to get out the truth." Facebook Live automatically records live streams and lets people re-watch them later. Reynolds' video was spotted quickly and shared by Black Lives Matter activists. By the end of the night, other live streams showed mourners and protesters gathering outside the Minnesota governor's mansion. Meanwhile, on Facebook, Reynolds' recording was temporarily pulled from her page. It may have been flagged by users or by Facebook's computers as being graphic. The video's disappearance disturbed some users. Facebook restored it within hours. "We're very sorry that the video was temporarily inaccessible. It was down due to a technical glitch and restored as soon as we were able to investigate," a Facebook spokesperson told VentureBeat and other news outlets. Now the video is accompanied by a warning that it is graphic. "Are you sure you want to see this?" the label asks, requiring users to consent before viewing it. Some experts had doubts about the "technical glitch" explanation. Zeynep Tufekci, a University of North Carolina at Chapel Hill professor who studies social networks, said she has "seen this a lot: Random person complains. Facebook moderator takes it down." "But this one has attention," Tufekci added, so the video has been restored. By noon on Thursday, according to Facebook's measurement tool, the video has been viewed 3.2 million times on Reynolds' page. And it has been seen countless millions more times on television. Ever since the rise of "citizen journalism" in the mid-2000s, analysts have commented on the empowering capabilities of smartphones and other easily portable cameras. Live-streaming is the newest form of citizen journalism -- and the most immediate form yet. Streaming apps like Periscope, Facebook Live and YouNow have almost unlimited uses -- some of them disturbing. There have been several well-documented instances of crimes being live-streamed on Facebook Live, posing a quandary for the company. Still, many people deem them important for mass consumption. "I am not mad at the video shown on my timeline ... 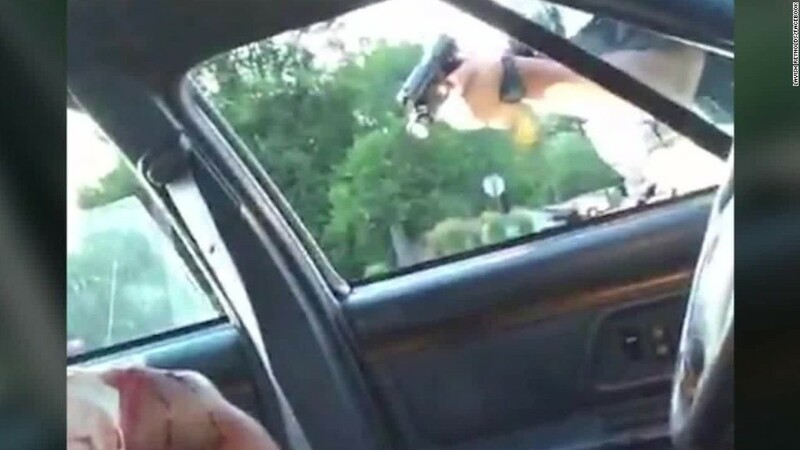 I am far more scared of police triggers than psychological ones. So yes, show me, show me how he died. Because I do not want to forget the 'how's' anymore," wrote artist Joel L. Daniels in a Medium post on Thursday. The video and others like it that show violence, he wrote, "validate our rage ... give credence and life to the named and nameless victims of state-sponsored aggression against persons of color." There have been several other well-documented instances of crimes being live-streamed on Facebook Live, posing a quandary for the company. In June, for example, an Islamic extremist who killed a police commander and his romantic partner in France posted a 12-minute video on Facebook while holding a hostage. But for every twisted, criminal use of live streaming, there are dozens of stories about how the services are beneficial. Most often they're used for prosaic purposes -- broadcasting birthday parties and weddings and day-to-day activities. Newsworthy moments are being captured all the time, too. Facebook Live and a rival streaming service, Twitter's Periscope app, were recently used by Democrats in the House of Representatives to live-stream the sit-in they staged to protest lack of movement on gun control legislation after television cameras in the chamber were turned off. -- CNNMoney's Sara Ashley O'Brien contributed reporting.